October is Fall Car Care Month. The perfect time to get under the hood now before the harsh winter takes effect. A little time to be car care aware now means you’ll be ready for winter weather and road ahead! Whether you do it yourself or take your car to a professional service technician, the Car Coach recommends four proactive steps to make sure your car is ready for winter driving. - What is the number one thing we should check in our cars for fall? - What else can we do ourselves to ensure safe driving? - When should we see an expert? - Where can we go for more car maintenance tips? Lauren Fix, The Car Coach® is a nationally recognized automotive expert, media guest, journalist, author, keynote speaker and television host. A trusted car expertLauren provides an insider’s perspective on a wide range of automotive topics, CAR SMARTS® and safety issues for both the auto industry and consumers. Lauren’s broadcast experience includes Oprah, Live! With Kelly and Michael, Good Morning America, The View, TODAY, 20/20, The Early Show, CNN, CNBC, FOX News, and NPR among others. Having started his business in the midst of 9/11 and enduring through a housing crisis and recession, Brett's Entertainment Benefits Group is now celebrating 15 years of astounding growth. 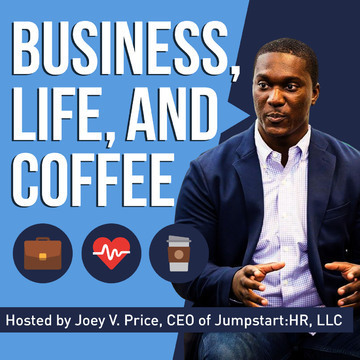 On the show, he looks back over the past 15 years and shares his tips on how to build a recession-proof business. 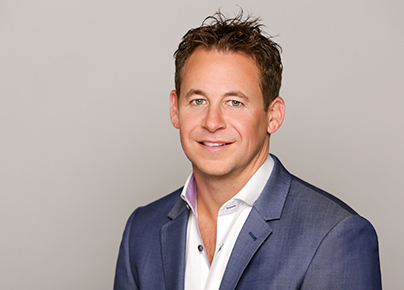 Brett D. Reizen is the President and Chief Executive Officer of Entertainment Benefits Group (EBG), a leading provider of travel and entertainment worldwide. As the original co-founder of the company in 2001, Reizen has been President and CEO since inception. Reizen led the transition of EBG from a tech start-up venture into a thriving travel and entertainment business with both a major online and growing in-market presence. Achieving double and triple digit year-after-year growth, EBG now operates 8 brands, has more than 400 employees and serves 60 million customers annually. In addition to other multiple EBG sales channels, Reizen has led the way in growing and developing the most comprehensive corporate benefits programs, including TicketsatWork, Plum Benefits and Working Advantage. To date, EBG maintains client relationships with over 40,000 corporations that reach over 50 million employees. Entertainment Benefits Group (EBG) is one of the largest privately held travel and entertainment providers in the United States. Headquartered in Miami with offices in Orlando, New York and Las Vegas, the company features the largest and most comprehensive corporate benefits program for travel and entertainment. With a network of consumer and B2B businesses, EBG has a proven track record of establishing successful and innovative website portals and partnerships. Owning 100 percent of its technology, EBG has developed a customized point-of-sale ticketing and administration system that reaches more than 60 million users and supports a continuously growing infrastructure. EBG also operates two customer service call centers, more than 45 retail locations in Las Vegas and Orlando’s largest Premier Ticket and Operations Center – located near Universal Orlando Resort and minutes away from Walt Disney World. EBG brands include: TicketsatWork.com, PlumBenefits.com, WorkingAdvantage.com, BestofOrlando.com, Showtickets.com, BestofVegas.com, NewYork.com and Tickets & Tours. Who’s staying up all night worrying about retirement? It is not the Boomers but the generation that came of age during the dot-com bust, the global financial crisis and housing collapse – Generation X or anxious! Nearly two-thirds (63%) of Gen Xers are kept up at night thinking about financing their retirement and even more are looking to increase the upside of their investments so they can get on track, according to a survey by American Funds, a family of mutual funds from Capital Group, one of the world’s leading investment management firms. “Wisdom of Experience: Lessons Learned From Millennial, Generation X and Baby Boomer Investors” surveyed over 1,200 U.S. adults, focusing on Millennials (21-36 years old), Generation X (37-51 years old) and Baby Boomers (52-70 years old), to understand their perspectives on a range of investing and retirement issues. On this episode, Heather Lord, Strategy & Innovation Director at AmericanFunds, will detail the findings of the “Wisdom of Experience: Lessons Learned from Millennial, Generation X and Baby Boomer Investors” survey and what investors should be thinking about at various stages in their lives. 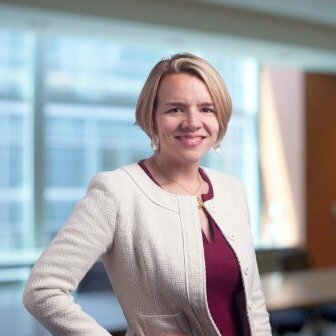 Heather Lord is strategy & innovation director at American Funds, part of Capital Group. She has 11 years of industry experience and joined Capital Group this year. Prior to joining Capital, Heather worked as a principal at Boston Consulting Group. Before that, she was a senior vice president, strategy & client experience at Charles Schwab. She holds a PhD in applied statistics and psychology from Yale University and a bachelor's degree in statistics from Cornell University. Heather is based in Los Angeles.